For this week’s AquaNerd Picture of the Week, we’re digging into the archives a bit. 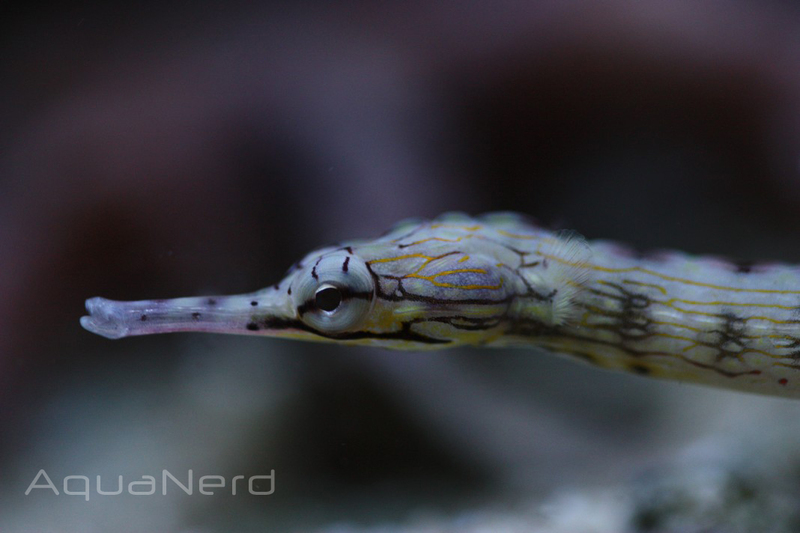 Going all the way back to early 2010, we’ve got an up close look at the always interesting dragonface pipefish (Corythoichthys sp.). A relative of seahorses, this pipefish sports an elongated body that allows it to hug the rock work in a high energy reef tank while it hunts for pods and other tiny crustaceans. These pipefish aren’t exactly common in the aquarium trade, with about the same abundance as your typical seahorse, and they have about the same requirements.